It looks like The Cookie Kids Gang is back in town. There's a little face in the cupcake "o". And you wanna know what else? I like the "i" firecrackers and that weird "K" that's made out of Candy Apples. Is that hostess cupcake frosting on the other "K"? 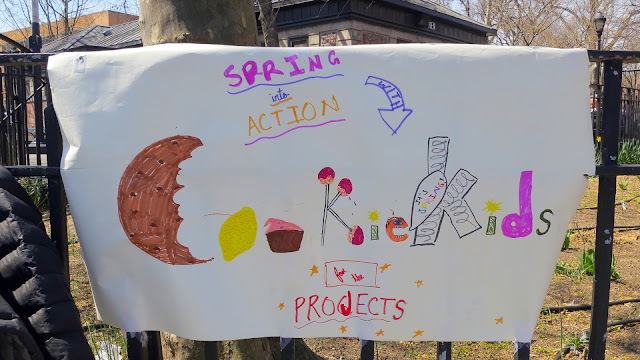 Kudos to the gang for not spelling "cookie" with a "k" to make it "Kookie Kids." I hate contrived alliteration more than Sudsy's scorn for soot and Rubbish's repugnance toward Roquefort.